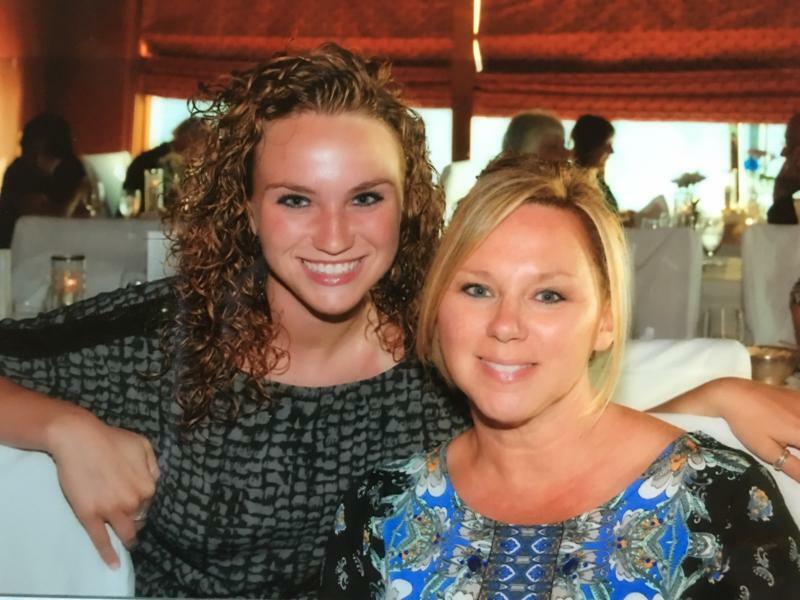 My name is Michelle Reardon and my 22-year-old daughter Alexandra has suffered with TMJ pain, migraines and neck/back pain since she was 14 years old. Early on it started as minor discomfort, but seemed to escalate year after year. Her body acting as a pressure cooker of sorts, discomfort building, waiting to explode. By age 20, in her second year of college, TMJ pain had reared its ugly head with a vengeance and impacted her once "normal" life. It affected her ability to focus in school and started to impact her ability to function day to day. Approaching her 21st birthday, she started to significantly lose function of her jaw. Her facial muscles became incredibly tight, her mouth opening began to shrink, her ability to chew diminished day by day and her pain was "off the charts." She became nutritionally compromised, as well, and began to lose weight. Pain, despair and anxiety were now a part of her everyday life. In her 4th year of college, majoring in Nursing, she was forced to take a medical leave of absence in an attempt to manage her pain and identify the root cause of this agony. Dreams unfulfilled and goals now seemingly unattainable. Through the years, we sought out the "best" dentists, doctors and surgeons in the Boston area, and even traveled across the country to consult with doctors in search of answers. She had diagnostic testing: x-rays, MRI's, and blood tests. On the advice of oral and/or maxillofacial surgeons, she had arthrocentesis, steroid injections, Botox injections and arthroscopy. Diagnosis of TMJ, severe bone degeneration, bilaterally displaced discs, and increased inflammation were given, but no explanations as to cause. Six months later, after a Cone Beam Cat Scan (CBCT) and a Bone Scan, we received devastating news; her bilateral condyles were "largely destroyed." She was now considered a candidate for bilateral Total Joint Replacement (TJR) at 21 years old. As a parent, there is nothing worse than watching your child suffer. We want, so desperately, to see our children happy and healthy. When illness and pain wreak havoc on our children, we as parents want to "fix it." The problem is with Temporomandibular Disorders (TMD), there are NO quick fixes, NO simple procedures or magic potions to make it better. Many patients and loved ones struggle to find answers that are just not easily found. We turn to medicine with the hope of getting answers that unfortunately are not yet clear. Many physicians are over confident and over optimistic. There is simply not enough evidence based research or long-term follow-up of TMJ patients. Our journey has only just begun. After consulting with more than 33 doctors over the years, we finally received a definitive diagnosis of Lyme disease along with multiple co-infections. We now know that Lyme Disease has been a MAJOR contributing factor in our daughter's ongoing jaw pain and chronic inflammation. Lyme disease and other tick-borne illnesses, have a profound effect on joint inflammation throughout the body. It is not uncommon to have chronic pain and inflammation in the TMJ's. Had we understood this and the impact Lyme plays on the TMJs we would have sought to rule out Lyme disease much sooner. Since we were unaware of the symptoms of Lyme, we chose the route that so many other TMJ patients travel, that of pharmaceutical/dental/surgical interventions. Had we just treated the Lyme, much of her TMJ pain (if not all of it) would have gone away. Instead, we intervened and because of the manipulation to the TMJ's, she lost more and more of her bone. She is now left with severely degenerated joints, requiring bilateral jaw joint replacements. Our only word of advice is get tested for Lyme disease. Be aware that the testing for Lyme is highly unreliable and more than 30% of people will receive a FALSE negative. One must rely on looking at ALL of the clinical signs and symptoms of Lyme disease and further pursue other testing if a negative result is found. One must also ask to be tested for co-infections of Lyme; most doctors do not test for these. These co-infections go hand in hand with Lyme, and they also affect the jaw. Seeking a Lyme literate doctor (LLMD) is also a sure way to get an accurate diagnosis. ILADS.org has a comprehensive list of LLMD's in every state.